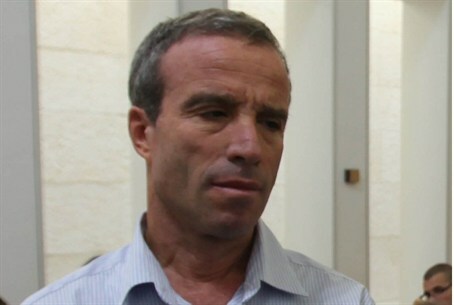 MK Elazar Stern slammed for condemning Rabbi Dov Lior for alleged racism. Rabbi Shmidt: he didn’t even check the facts. Member of Knesset Elazar Stern (Hatnua) has been roundly criticized for condemning Rabbi Dov Lior, the chief rabbi of Kiryat Arba-Hevron, in a speech to Knesset on Wednesday. Rabbi Dov Lior's statements are hurtful to the Ethiopian-Israeli community, he charged. He called to strip Rabbi Dov Lior of the state-funded salary he receives as a city rabbi. “Don’t we need to say 'enough, he isn’t our rabbi?' The state of Israel cannot keep paying him,” he argued. But those who were present at the class Stern claimed to be quoting told Arutz Sheva that some of what Stern claimed Rabbi Dov Lior had said had been taken out of context, and the rest, the rabbi had not said at all. Rabbi Dov Lior stated that Jews from Ethiopia, who were separated from rest of the Jewish nation for millennia, should undergo a “giur l’chumra,” they said – a brief conversion ceremony conducted in cases where a person’s Jewish background is unclear. This ruling is in line with the Rabbinate’s decision regarding Ethiopian Jewry. Some of Rabbi Dov Lior’s halakhic rulings are available online, including one in which he clarified that Ethiopian Jews should undergo a technical conversion ceremony as per the Rabbinate’s ruling, but that they are not assumed to be non-Jews, and there is no problem whatsoever in marrying a Jew of Ethiopian descent who has undergone giur l’chumra. Supporters of Rabbi Dov Lior slammed Stern following his Knesset speech, saying that Stern’s statements were not only disrespectful, but were untrue. “MK Stern, in his wickedness, did not even bother to clarify the facts with the rabbi, and instead ran straight to the media to get headlines,” accused Rabbi Yehoshua Shmidt, the rabbi of the town of Shavei Shomron and Shavei Shomron yeshiva. Stern attacks rabbis who do not agree with him politically “at every opportunity,” Rabbi Shmidt charged. “Stern is the type of person who wants to tell rabbis what they can say, and what they can decide regarding halakhic (Jewish law). A man who didn’t study [Torah] will tell the rabbis what to say?” he said. “If he has even a bit of humanity, what he should do is stand tall and apologize to the great halakhich scholar of our generation, the great Rabbi Dov Lior,” he declared. “Religious Zionism needs people like the rabbi, who work on behalf of the nation of Israel with love, modesty and humility – not populists like Rabbi Elazar Stern who are looking for headlines,” he added. Dagan: Where Does Stern Get his Hate? Deputy Chairman of the Samaria Regional Council Yossi Dagan, a student of Rabbi Dov Lior’s, joined Rabbi Shmidt’s criticism. “One thing remains unclear – from what depths of his soul does Elazar Stern draw this hatred of his for religious-Zionist rabbis?” he asked. Stern has harshly criticized religious-Zionist rabbis in the past, he recalled, particularly those who opposed the 2005 “Disengagement” plan, which Stern supported. “The time has come to tell Elazar Stern: enough. Get your hands off the Torah sages,” he declared. If Stern as “a drop of courage and public honesty” he will voluntarily give up his parliamentary immunity, so that he may be charged with slander over his statements, Dagan added. “He didn’t even bother to check if his blather was true,” he accused.